We design and make fine jewellery exclusively in our Canterbury shop. 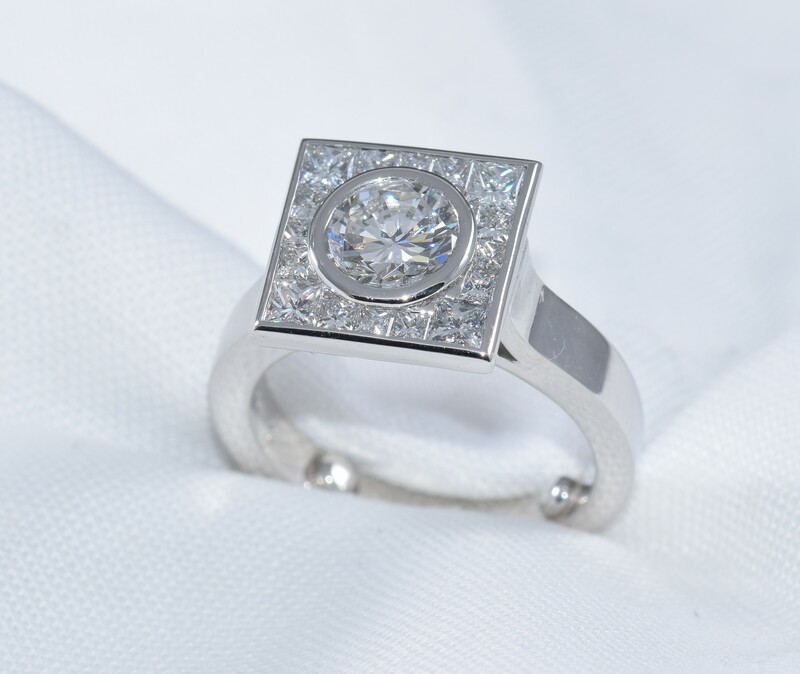 Our rich and diverse portfolio features many treasures including Engagement Rings, Dress Rings, Eternity Rings, Bracelets, Bangles and Earrings. All that we make is bespoke. Our one-off pieces are made especially to customer commission or for our shop display selection. We are renowned for the character, variety and high quality of our designs. Our unique Mokume Gane Jewellery has earned us a reputation for creativity and innovation with customers throughout the United Kingdom. Authenticity in the way we create jewellery is of the upmost importance to us. We describe our practise as ‘Design vom Handwerk’ (‘Design by Craft’). This refers to our continuation and development of the art of the traditional jewellery maker – designing and making, with precious materials, by hand, at the bench. Our friendly and experienced team of jewellers value the close personal relationship we enjoy with our customers and we feel privileged to craft jewellery that will last for generations to come.